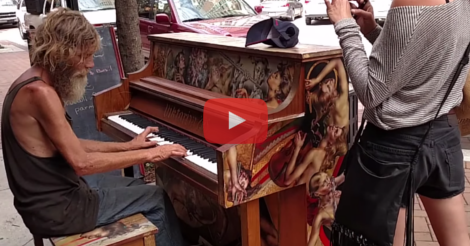 When A Homeless Man Sits Down At A Piano, You Won’t Believe What He Can Do! Meet Donald Gould, a homeless man from Sarasota, Florida who can play any instrument. When they first saw him, Donald was playing a beautiful rendition of “Come Sail Away” by Styx outside of a small cafe on a gorgeous painted piano. Playing away, Donald didn’t realize that he was being filmed until the crew came and found him the next day to let him know that his video had gained 100,000 views overnight. They did a short interview and learned that Donald had played the clarinet in the Marine Corps and had gone to school for music theory. Donald says that he is able to play by ear and is able to play any instrument from the piccolo to the tuba and can read music, too. Although he was only a few classes away from receiving his degree, Donald had held a steady job for a number of years before “the economy crashed and I lost it.” He’s been homeless ever since. While it is a hard life to live as a homeless person in our society, everyone deserves a second chance! It’s nice to see his own community giving so freely to him and his second chance at a happy ending. Donald has since received many offers to work for generous business owners, and I hope that he can find a safe place to call “home” very soon! 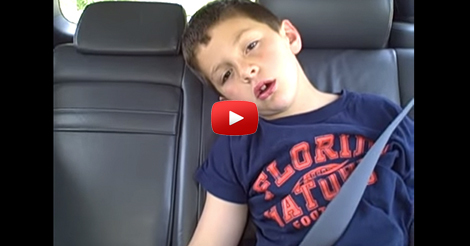 Watch his amazing performance and see that you shouldn’t always judge a book by its cover.